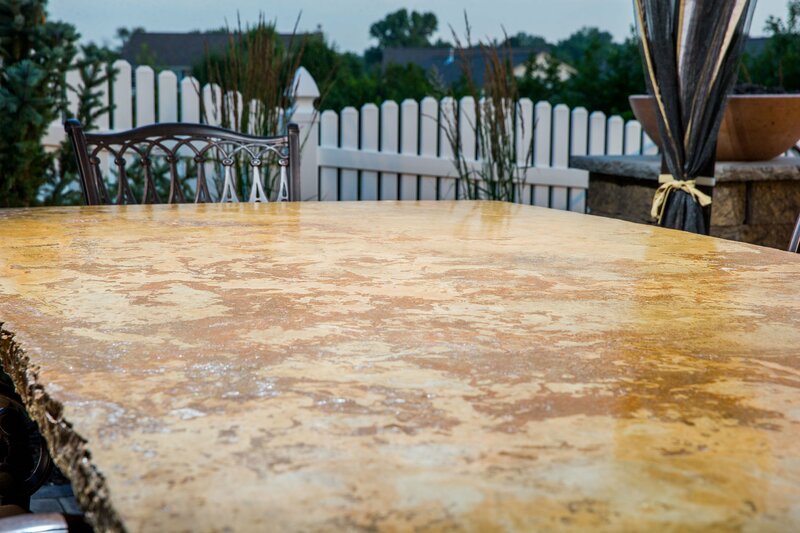 At H & H Lawn & Landscape, we love helping you add to your Omaha landscape with beautiful concrete countertops. Each countertop is a hand-made piece of art, and each piece is unique. 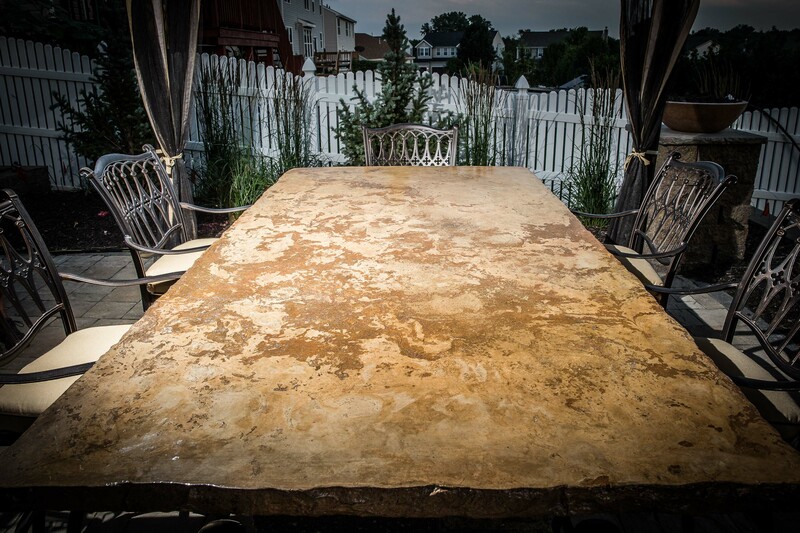 We can create create concrete countertops in a variety of shapes, sizes and colors. Our landscape professionals strive to create countertops that fit the individual character of your landscape, tastefully accenting your property. The concrete countertops are made of warm, natural looking materials that blend in perfectly with wood, stone and brick. Concrete countertops and accessories are designed and molded by us to specifically to fit spaces in your home. Concrete is also a “greener,” more environmentally friendly landscaping product, since there is no scrap like from cutting a slab, or energy costs for mining and transporting from a quarry halfway around the world as with granite or marble. And concrete has the uniform consistency to make it more solid and durable for everyday use. The colors, textures, and designs are as endless as your imagination. Concrete countertops are strong and durable. Unlike Formica, tile and ceramic, age improves their looks and character. Countertops can be patterned and textured to add depth. Countertops can be made to look like granite or tile. A sealer is applied to protect and stain proof the surface. This seal adds a beautiful shine and it makes clean up a breeze. Call us at (402) 916-9500 to schedule an appointment for a free landscape consultation. We will listen to your ideas, wants and desires incorporating them into your landscape design at your Omaha home. to schedule an appointment for a free landscape consultation. We will listen to your ideas, wants and desires incorporating them into your Omaha landscape design. (402) 916-9500 to schedule an appointment for a free landscaping consultation.